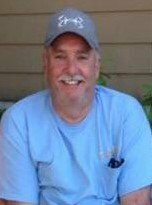 The Officers and Members of the Queenstown VFD would like to offer our deepest condolences to the Queen Anne Hillsboro Volunteer Fire Department on the passing of Life Member Michael Christopher Winstead, Sr.
Funeral services will be held at 11 AM on Wednesday, November 14th, at the Moore Funeral Home, P.A. located at 12 South Second Street in Denton where friends may call from 6 until 8 on Tuesday evening and from 10 until 11 on Wednesday before the service. The interment will be in the Ridgely Cemetery.